The tour kicked-off by jumping on the MTR (if only we had a train system half as good as that here in Aus…) with Nigel Ng Advance Audio Australia General Manager, who was to accompany me to the famed KEF Music Gallery (KMG). KMG is situated in upmarket Central Hong Kong where, I’m told, you’ll find some of the world’s most expensive meter-squared real estate on the planet. It’s Duddell Street… a microcosm of colonial history (the very last of the renowned gas street lamps and the granite steps are historical remnants) mixed with traditional Chinese culture and modernity. KMG is located in a building densely populated by a multitude of upmarket audio companies, with such themed occupancy being common in Hong Kong. Here, we’re greeted by hosts Lawrence Chu General Manager APAC, Hylas Wan Sales & Distribution Manager APAC and Ellen Law Marketing Manager. Arrangements were also made for what turned out to be a most pleasurable one-on-two with Head of Global Marketing Daniel Haikin and Ben Hagens Product Manager APAC. Hagens provided a short run-through tour on KMG’s many attractions where almost the entire range of KEF products are displayed in a variety of scenarios including mock home settings, complete with the habitual furnishings – renowned Conrad & Partners were the interior decorators. Funky 3D digital art displays by artist collective teamLab provide fluid and colourful visual enhancements throughout the gallery. Further works are peppered around from a selection of celebrated artists, one of them being Australian photographer Luke Shadbolt. Independent tasteful displays match product with décor tones, with these settings allowing easy inspection and comfortable auditioning of KEF items on display. Even the delectable KEF Reference 109, also known as The Maidstone and now considered a classic, was on static display. Kudos to the KEF Management and Marketing teams who imagined and then created a flagship showcase which succinctly illustrates the company’s philosophies. It’s also a welcoming customer experience complete with the requisite classy coffee machine and the variety of scotch for special occasions. KMG is also utilised as a special events venue for product launches, etc., but mainly for live music evenings… because that’s what it’s all about, right? The spacious main auditioning studio is the proud home of a reference-level system which can be configured for stereo or multi-channel formats up to full Atmos level. The stereo system was crowned by one of the first – perhaps the first – Muon systems in all its metallic fluid-organic glory. Listening impressions, and I mean impressions quite literally, below. KEF is actually a company under the GP Industries umbrella (GP businesses also include battery and automotive wire harness manufacturers), itself being part of a much larger – and rather considerable – entity in The Gold Peak Industries Group of companies. With KEF operating in parallel and obviously being a very important aspect of the overall bigger company picture, I was seeking deeper insights from Daniel Haikin regarding the possible cross-pollinations of technologies and sharing of R&D between the various arms of the GP Group. Daniel Haikin: Well, of course we use GP batteries in our portable products… And we share people. For example, a high-end speaker may start in Maidstone with an acoustic design and with their own draftsmen they may work out how a product can be made. At some point in that process, they’ll contact GP Electronics and start working collaboratively in terms of how to make it. Then, below a certain price point, GP will start planning the actual manufacturing. GP has clients outside of the Group, mainly in professional audio, driver manufacturing… in fact GP’s business is bigger outside the Group. So there’s shared resources but other than batteries, there are no shared technologies. Edgar Kramer: In terms of design, you have used external industrial designers like Ross Lovegrove for Muon and Marcel Wanders for LS50 Nocturne. Any others for other KEF products? DH: We occasionally use external designers for ‘agitation’. We may approach an agency to shake things up for us. To start with a clean sheet, other than the acoustic design of course, and that has become part of the design language of aspects of the brand. We’ve recently worked with Michael Young who did some work in the LSX in partnership with our design team. We don’t have internally a CMF person, a Colours, Materials and Fabric specialist. That’s one of Michael Young’s areas of expertise. 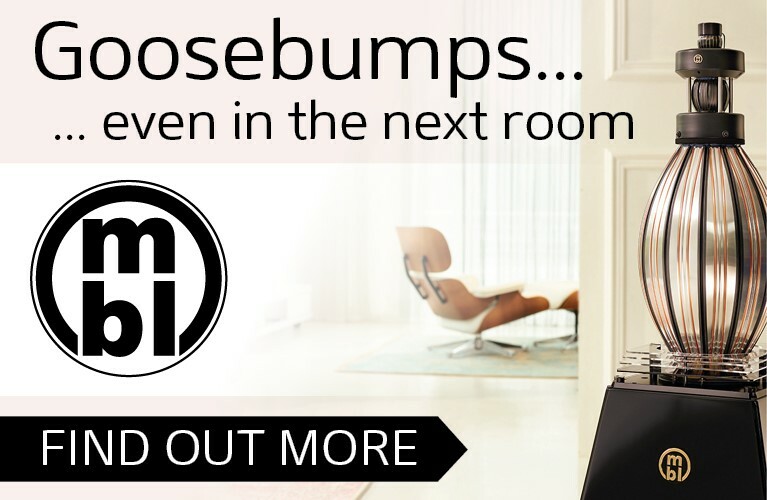 EK: With Celestion being part of the Group and with it having such a rich and long history in loudspeakers, I was wondering why the company was pulled from the home speaker market. DH: Celestion, we believe, made the first ever guitar speaker. Its business was originally in transducers, it became a Hi-Fi brand relatively late. In the 1950s, they were manufacturing 40,000 drive units a week. From a business point of view, when we purchased KEF and Celestion, we couldn’t put the two brands in competition with one another. KEF, of course, was the much stronger brand, although Celestion made some notable products, historically too, such as the SL-6000, but KEF had a much stronger tradition and scaled its business more effectively, it had a CI division, etc. This arrangement has been immensely successful. Actually, I was thinking about parallels in design and a very talented engineer called Mark Dodd who has designed Blade and LS50 for KEF has also designed professional compression drivers. These are very different products but there are complimentary lessons when designing both. EK: As far as market shares, what are the biggest markets for KEF? DH: America, Germany, China and the UK. In that order. DH: Yes. KEF was in America very early on. Even before Uni-Q and was the number 1 British speaker brand there for a long time in terms of sales. EK: Are there plans for a new Reference series in the near future? One of the reasons for asking this is that I found the new Uni-Q driver as used in the new R series to be outstanding. Could that be stepped up to a new Reference series? DH: No at this stage. I don’t think you can isolate specific bits of a speaker, even as a speaker engineer. A speaker is an organism. Having worked very closely with engineers, we look at it in a philosophical way as an entire organism without isolating any specific bit. A speaker is a monumentally complex device that is imperfect. You’re trying to recreate an orchestra in this room with small five to six inch discs with a smaller one inch disc in the middle. The art of doing it well is the art of psychoacoustics. To create an impression of an orchestra in the mind rather than the ear which is very complex. So few companies are good at it because it takes great engineers but it’s not engineering on its own. It’s a form of engineering that is observation and empiricism. So when we look at a speaker, we look at the whole thing not just the ingredients. Ben Hagens: We call the concept ‘Total System Design’. We pioneered this back in the 1970s. It’s a holistic approach to a system. You can make the best drivers and put them in the best-measuring box and best-measuring crossover and the speakers may still sound poor. It’s the inter-relationship of the various parts that’s extremely important. EK: In terms of R&D budgets what are the rough ratios between the high-end products and the wireless products? DH: Mm, that’s a difficult one on a product basis. Because the R&D team is constantly looking at acoustic technologies so it’s a sum cost. Also some of the R&D may never even enter a speaker. But the Head of R&D has a spreadsheet and knows the costing on a general basis. In terms of the wireless products, there’s a lot of research into low latency between two speakers talking to each other, so there’s quite a lot of work there. Usually a lot of work in refining the user experience and the various features and functions. A lot of that work is platform based so it applies to a series of products. The platform on the LS50W is the same as the LSX. So hard to quantify on a product basis. Other than to tell you our whole R&D budget, which is huge. EK: What direction is KEF taking in the near future? DH: The owners of KEF are very keen on the high-end. It’s a great achievement if you can create something like the Muon or a Blade. It’s a great exercise for the engineers and very rewarding for them and the owners. That will always be a focus. 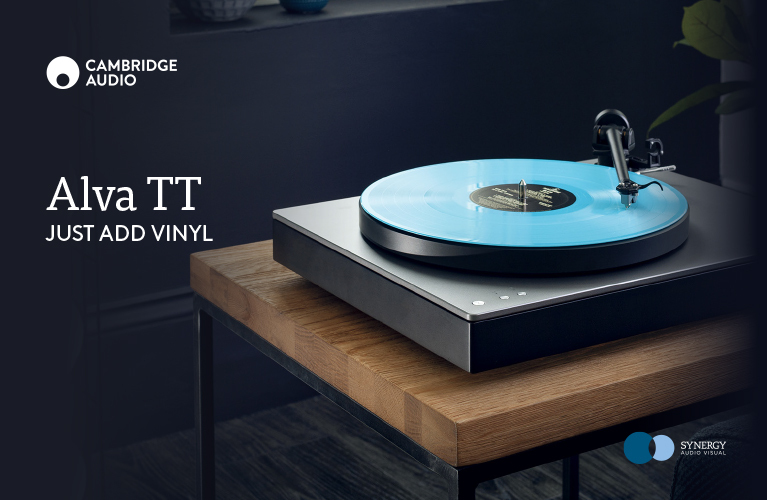 From a business point of view, we looked at some independent market data and found core Hi-Fi is a very stable business so there’s absolutely no reason why we wouldn’t continue making those products. And the whole world is going wireless, so if you’re making electronic products you can’t not talk about wireless. I think the LS50W is way too cheap. Forget wireless, I’d buy it just on the basis of what’s in it. You get a relatively high-end amplifier, active operation, some quite high-end DAC stuff and a loudspeaker in a really nice cabinet. So I wonder whether people bought it for the performance and then it happens to be wireless, if you see my point. But going back to high-end, I think we are globally within the top three positions in Q and R series in terms of a British export brand. 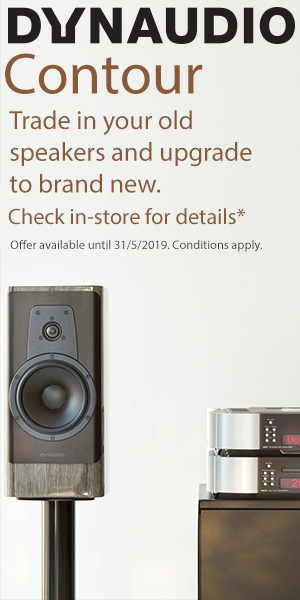 For Reference series we have strong local competition like Wilson Audio in America and Focal in France, so I think that is a very interesting area for us to grow… like Reference and above. Sometimes you can add some magic. The LS50, for example, transcended all business matrix… I think that’s very interesting from a marketing point of view. I think the passion that engineers put into a product often shows in its success. The Blade is a terrific achievement, it’s an incredibly, distinctive object, it’s a natural evolution of the Uni-Q idea and I think that captured a lot of imagination because so much went into it. Apropos the dwarfing of the KEF LS50 Wireless speakers on stands beside the monolithic Muon, I thought I would ask Hagens how KEF was performing in the hotly contested wireless space on a global level, vis-à-vis the recently launched LSX. Ben Hagens: The LSX is doing very, very well. Of course, it’s based on the LS50 Wireless… we could have done a cut-price LS50 Wireless but we didn’t want to approach it that way. We wanted to see if it would attract a different customer, that’s why we introduced a bit of the life style element without compromising on the audio side of things. We were thinking about the overall experience, not just when you have music playing, but we wanted to provide a great tactile experience with the beautiful fabric from specialist Kvadrat in the four finishes. We wanted to provide an option and not dictate to people. LSX is perfect for people who may not have room for separates or big speakers, so we wanted to help people come in to audio at that price point and without compromising on the sound. And two boxes instead of one. Stereo… soundstage and imaging is so important for the enjoyment of music, something you just don’t get on all-in-one systems or small Bluetooth speakers. Bringing that customer back to proper sound reproduction. EK: There has been some user comment regarding the integration of the KEF Control and Streaming apps. Is that a likely scenario? BH: There are some technical reasons why we couldn’t integrate the two apps. However, we sought to make it as easy and fluid as possible to switch from one to the other, much like for example, the way you easily switch from Facebook to Messenger apps. It’s a very quick switch in between the two apps. EK: Have consumers been demanding higher resolutions than 24-bit 48 kHz for wireless comms between the two speakers? BH: Not hugely… We are working on this to some extent, however. With my audiophile hat on, that somewhat surprises me but when I look at it from the majority of peoples’ point of view, it’s already beyond CD quality and people are loving the convenience of having wireless. So we’re doing wireless at high quality. The KEF factory is in Huizhou, an easy two hour drive from Hong Kong. For the tour, Nigel Ng, Hylas Wan and I were joined by expat Assistant Managing Director Graham Rowlands, an affable Melbournian who has just joined KEF. Also with us were Senior Product Specialist Moon Lam and Product Manager Calvin Lee. Coincidentally, Graeme Rowlands comes from an expansive career in Pro Audio, where I got my audio start too, so the common thread of that industry and its colourful people made for many shared stories. The great freeways make it a relaxed ride, with the ease of the journey only interrupted by the amusement of the multiple check points manned by old fashioned ‘analogue’ visual face recognition systems – you’re asked to look straight at the border guard with a ‘blank’ expression. Arriving in Huizhou sees us cruising through wide boulevards and industrial estates interspersed with factories and headquarters for some of the biggest names in electronics today. The rather impressive GP Electronics facility is one of these and it greets us with a modern, grand glass and steel entrance. 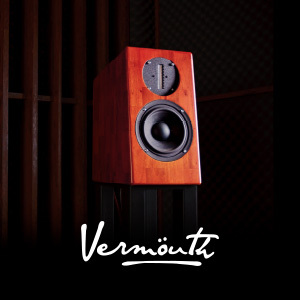 Aside from the large range of KEF – and Celestion – products manufactured there, the factory is a sizable OEM producer for select products from some of the world’s biggest Pro Audio brands. Bose and Yamaha anyone? Mackie, Peavey and many others are also part of the manufacturing roster at GP Electronics. In addition, some very high profile consumer electronics products are also manufactured at GP Electronics. A showcase sampling of some of the OEM products are scattered around the massive lobby/entrance hall. Expeditiously, we’re greeted by Assistant General Manager Manufacturing Yang Wu who invites us to the large boardroom where we’re shown a PowerPoint presentation providing statistics and general information. Insights were given into the factory’s output capabilities which have been scaled up since its launch in 1987. It’s a sizable concern even by ginormous Chinese factory standards, with the facilities spreading across a 147,000 square metre area. Across the many factory sectors (which are dedicated to specific aspects of production) the facility employs over 1400 dedicated workers. The philosophies applied for the factory’s operation are based on “Japanese and American factory design” and the idea is for “a modern factory” as Wu told me. The numerous Divisions within the complex are R&D, Design, driver manufacturing, cabinet manufacturing, finished product measuring and testing (right up to comprehensive consumer level functions and features testing), the various QC and QA sections, packaging, etc., with an assortment of sub-processes all also done in-house. And then there’s the OEM business… So extensive are the multitude of Divisions that I’m sure I’ve left some out. Staffing levels demonstrates the seriousness and scale of GP Electronics’ commitment. The Engineering Department alone features a large team who encompass the profession’s spectrum: Mechanical, Acoustic, Electrical, Automation Management and Software engineering. An interesting side note on the workforce and factory’s operating philosophy: it is encouraged for assembly workers and management to socialise at meal times in the factory canteen while also sharing a variety of sports activities at the complex’s courts. As I’m guided through the facility (where unfortunately, photos were prohibited), I see countless production lines, CNC machines, SMD and giant solder machines (2000 to 3000 Printed Circuit Boards, PCBs, are produced per day on average), varying electronics parts and component insertion apparatus, robotics for painting and other assembly processes, coil winding machines, glue and solder dispensing rigs attached to production lines, curing and stress testing machines and more. Dedicated jigs and bespoke processes are present everywhere. Some of these production systems are duplicated for the KEF (Uni-Q and CI) and Celestion driver productions. Having had the pleasure of visiting several high-tech factories, my somewhat trained eye judged this facility as exhibiting all systems and manufacturing stages/processes to be operating to extremely high levels of efficiency. Almost everything is done in-house. As I raised the point with Wu, and he confirmed, external suppliers are only used for minor incidentals, such as the plastic covers specifically purposed for the protection of finished drivers prior to cabinet insertion and plastic cylinder coil guards. The scale of the operation, the streamlined organizational aspects, the efficiency of the production processes all point to a factory that operates at a level that, for our industry, is state-of-the-art. “Modern” indeed Mr Wu. The KEF Music Gallery and the GP Electronics factory in Huizhou have provided an invaluable insight into the operations of a company that is at the leading edge. The manufacturing facility – an enormous operation with a substantial OEM component – allows economies of scale which present exceptionally well-engineered and skilfully-built products. The flow-on are products with outstanding performance capabilities combined with high levels of material value to the end consumer. Post production, the company further showcases its excellence with a premium experience at the KEF Music Factory, where end users can gain access and familiarity with a big slice of KEF’s wares in a comfortable and pleasantly open environment. KEF has the magic triad pyramid covered. From the creativity of product design, to the efficiencies of manufacturing, to the desirability of the finished product. Only a handful of audio companies are scaled to this level and are able to consistently excel across all disciplines… and fewer still are, entirely, masters of their own destiny.